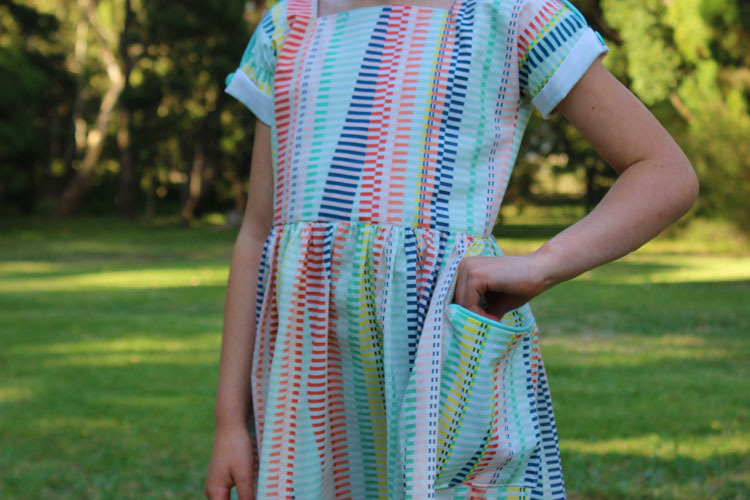 So last week after releasing the free Dulcie dress pattern, I also promised that for the next few Fridays there would be some sewing goodness and surprises happening here on the blog. I hoped to have my new sewpony pattern shop up and running today, but it is not quite ready. So instead, I thought I would run a giveaway! 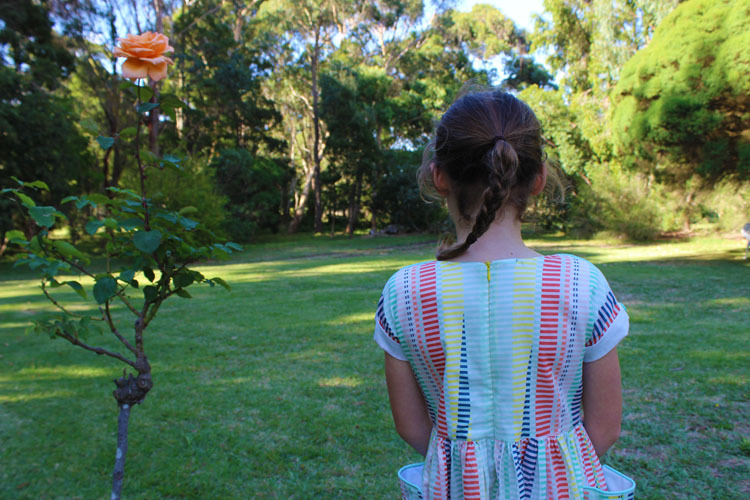 I made this Dulcie dress a few weeks back, and for those who have sewn up the pattern, you will recognise the pretty fabric I used for the photographic instructions. This particular dress was made with the first draft of the pattern, so the sleeves are too tight. In the finished pattern, they are a lot looser and don't pinch under the arms like they do in the photo below. This fabric was a dream to work with. It is a Cloud 9 voile (Let's have a party by Avril Loreti). Cloud9 voiles are so soft and drape so nicely. I bought mine at my local Spotlight - my local store stocks a lot of Cloud 9 which I really appreciate! I used mint piping along the shoulder seams and pocket tops and sewed this Dulcie dress with turn up cuffs and buttons. I am so glad Isabella still likes wearing dresses! They are still the garment in her wardrobe that she has the most of, so I guess she doesn't have a lot of choice! But, she doesn't complain either! So, on to the giveaway! A free pattern is great right? Free fabric and notions make a free pattern even better...double right? 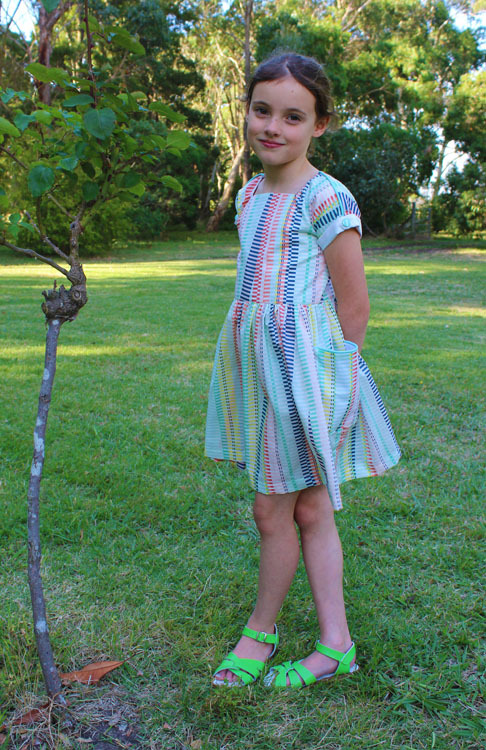 I am giving away 1 1/2 metres of this beautiful Cloud 9 striped cotton, 1/2 metre of white cotton lining and an invisible zip...everything you need to make your own stripey Dulcie dress! 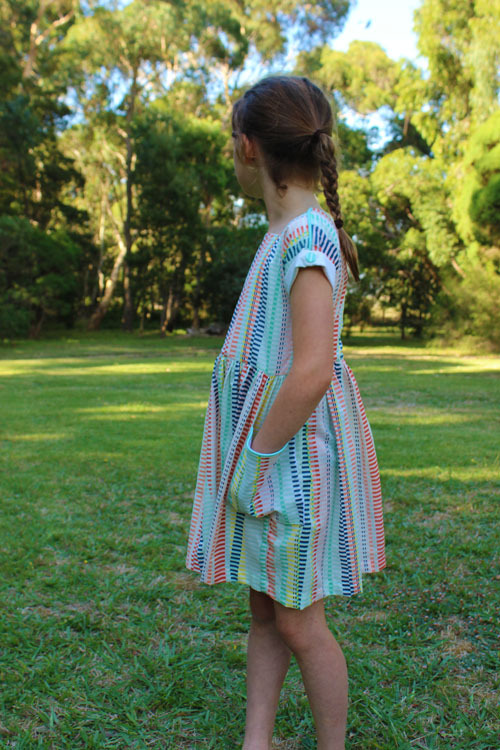 Incidentally, new sewpony subscribers will receive their emailed copy of the Dulcie dress early next week but can easily also find the link and files in the sewpony patterns FB group. 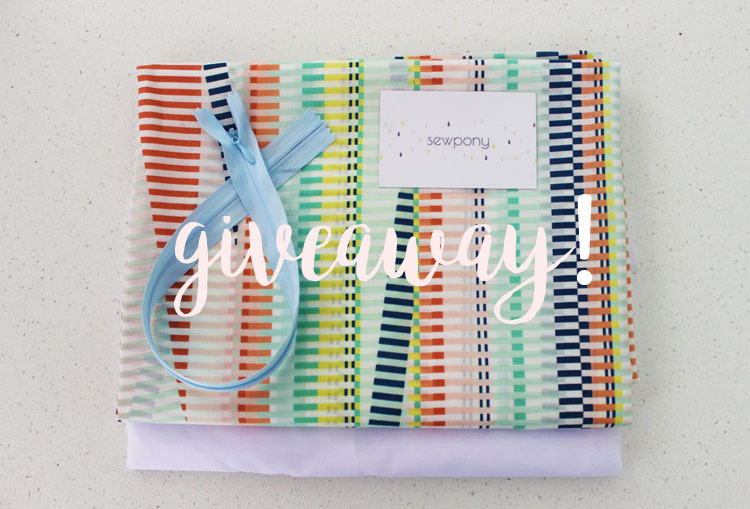 If you are in the FB group but have not yet subscribed to sewpony, you should as I will be offering discount codes and other goodies for subscribers:). Enter the Cloud9 giveaway by completing the Rafflecopter giveaway below this photo. Giveaway open internationally and will be drawn randomly next Friday 7th April...Just in time ot make an Easter dress! Winner will be announced on FB and IG. Good Luck! can't wait to start sewing a dulcie! This will be my daughter Easter dress! Thank you! This dress is on my list to sew! Such a beautiful dress! Cant wait to make it for my daughter! Easter dresses for my toddler girls!!! So excited! Got mine!!! My daughter will love this! Perfect time for Easter! Thank YOU! Downloaded! Can't wait to try this out! Downloaded. And printed. Just looking for the right print of fabric to start on. LOVe Cloud9, and love the colours in this print! Such a great dress pattern! Thank you! I got my copy, can't wait to make for my girls. It's waiting for me in my inbox-- hopefully I'll get going on it soon! Thanks again for sharing such a beautiful pattern... for FREE! 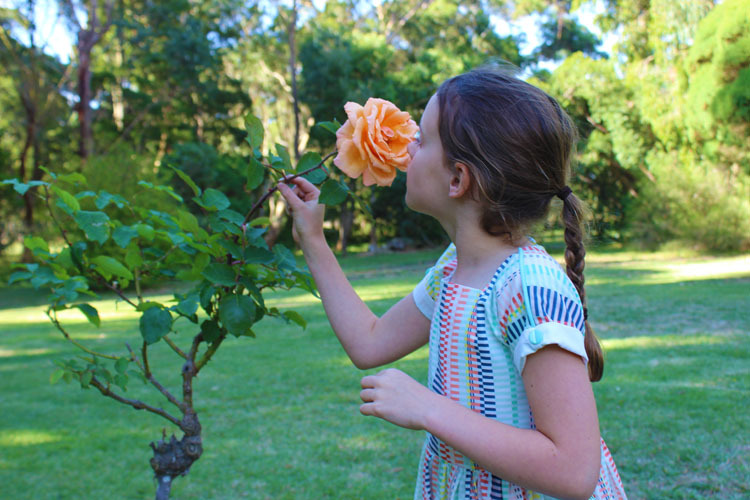 What a beautiful dress and how awesome that it's a free pattern, thank you! I've been loving all the great fabric options at Spotlight lately too, definitely a change for the better. this is so damn cute, i can't wait to make eddie a dulcie! I've downloaded my copy and am trying to figure out if I have enough fabric around to make it. Beautiful dresses. Thanks for the pattern download.